HOME > WEBSITE AREA > How can I create a content block? In order to have a more dynamic and professional look website, it is important to use the Content Block gadget. 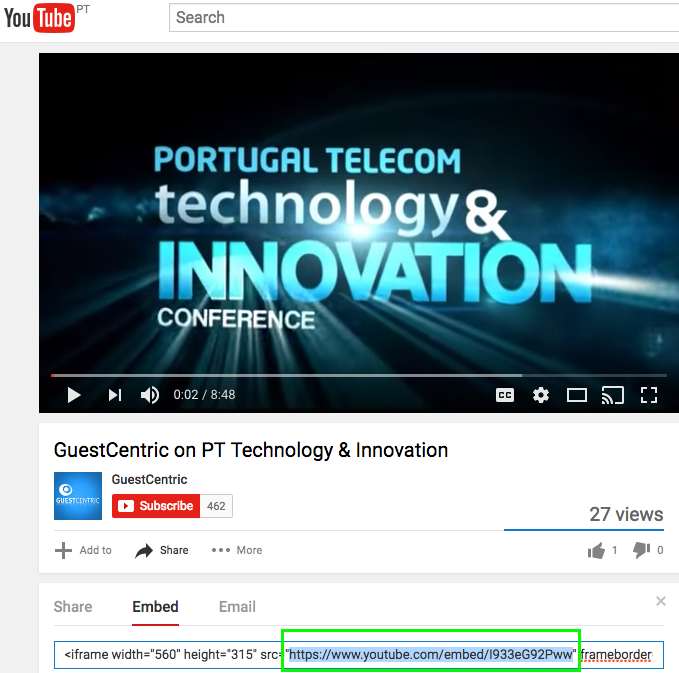 With this feature you will be able to create content blocks with content type Text, Image, Video or PDF. STEP 1: Please go to WEBSITE tab. STEP 2: From the available website pages, select the page you wish to edit and double click on it, or click on the OPEN button. Please remember that you can use the navigation pages or filter list according to the page name. STEP 3: Click on EDIT button and scroll down until you find the Page Introduction, Content or Sidebar Content area. 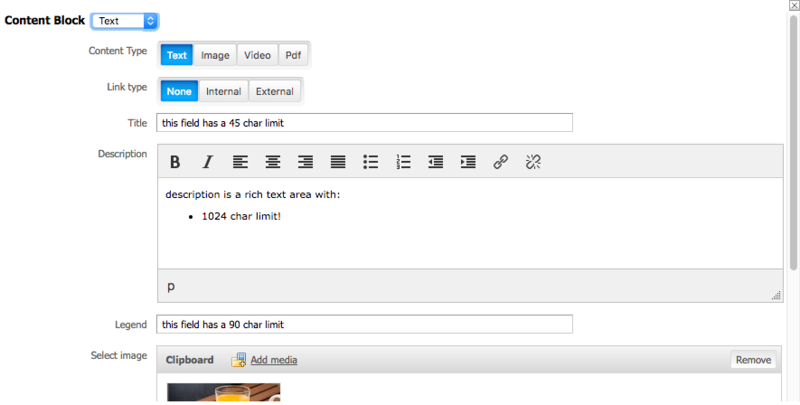 STEP 4: On the text tools bar, click on the Content Block gadget icon and select the size you wish to apply. Different types of content blocks have different icons and sizes so they can be better identified. 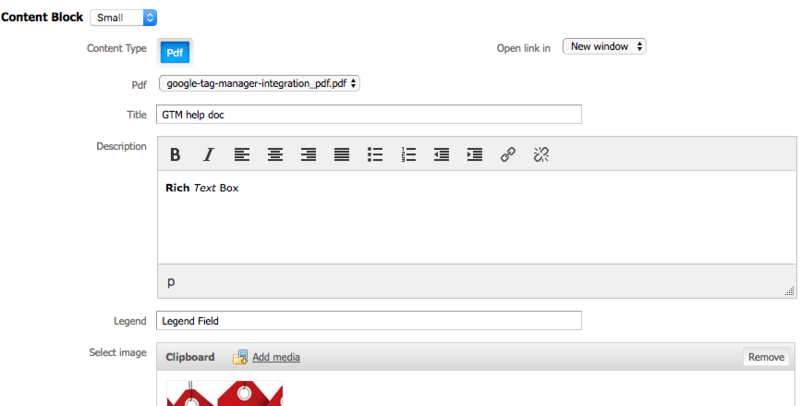 Or select the Content Block gadget icon, according to its content type: Text, Image, Video or PDF. "Top Box - Small" / "Top Box - Medium" / "Pop- up" are only available for Page content (not on sidebar). You will find 4 different Content Types - Text, Image, Video or PDF. This feature is only available for premium websites developed by Guestcentric. This content block appears as a pop-up message, as soon as the page where it is inserted, is opended. 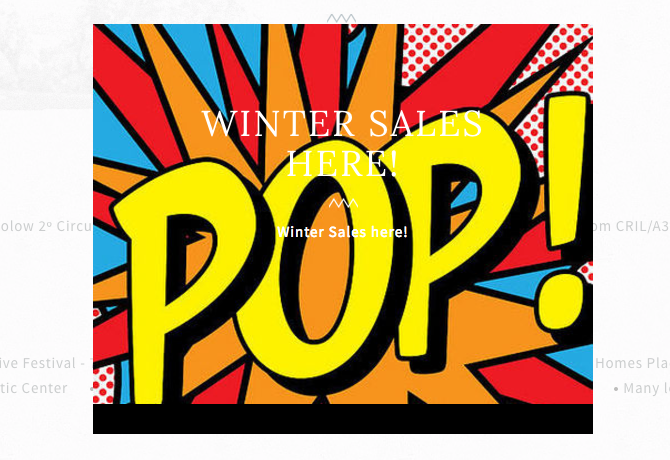 This Pop-up content is available with the type Text, Image, Video or PDF. The following example is merely ilustrative of how a content block pop up appears on the website. Mute - video will not have sound (independently of being in autoplay or not). - there is no Image option with this two types. The PDF must have been uploaded previously. For more details about how to upload PDF's, please click here. STEP 6: Click on ADD MEDIA and select the photo you want to be displayed on the content block. 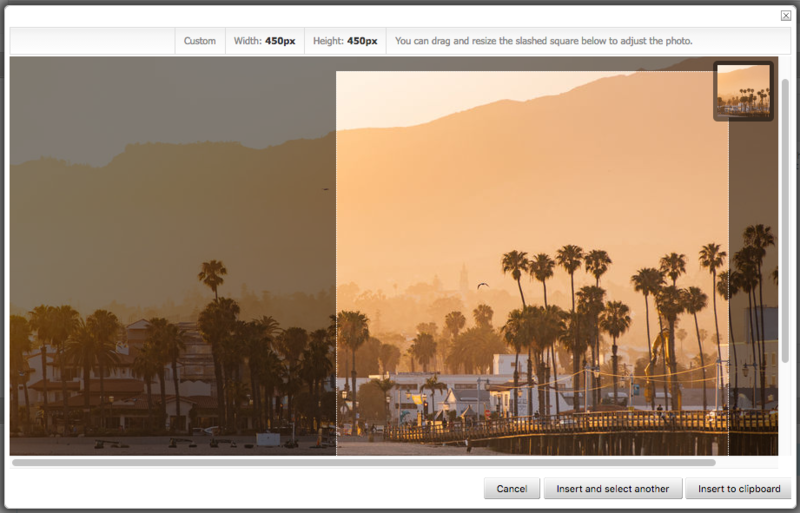 STEP 7: Click on CROP and setup the area of the image you want to highlight on the content block when displayed on the website. The image preview will be displayedon the top right the same way as on the content block. Adpat the crop, in the big square, until you find the perfect angle, as it showned on the image below. Click on INSERT TO CLIPBOARD. STEP 9: Click on . STEP 10: Publish your website, by clicking on PUBLISH ALL CHANGES. STEP 11: Refresh your browser's cache and confirm the content blocks are visible.